For those keeping track, Firestorm dates back to 1978, and DC’s disastrous expansion of their publishing line right at the point where a combination of recession, paper shortages and nationwide storms made it even LESS profitable to be in the business of distributing paper pamphlets. He’s been revamped, relaunched, murdered at least once, merged, rebuilt and redefined so many times since then that this first issue can’t HELP but be a step in the right direction, even if it’s another Grifter. Given the creative pedigree involved, though, it would be 2/3 of the way to impossible for this book to be that bad. The first four pages of this issue were a really tough read for me, as we open with a family being tortured for information by a group of black-suit wearing paramilitary types, led by a smooth-talking jerk. There’s a tough moment where it seems to be going for the “endanger a kid” trope, but it turns out to be… much, much worse. Adding to my discomfort, the paramilitary schmucks joke with one another as they leave the scene of the crime, all the while discussing how burning the entire CITY BLOCK will make it look more like the work of terrorists. Cut to “Walton Mills High School,” where we meet school quarterback and golden boy Ronnie Raymond on the playing field, and see him being interviewed by the quiet, thoughtful Jason Rusch. It’s a pretty confrontational scene, actually, as Jason carries anger and resentment with him, and the two clash over issues of race. I have to say, I am pleasantly surprised how well this potentially inflammatory moment plays out, with both Jason and Ronnie seeming very teenage, and neither being played as more “right” than the other, at least in my reading. …AND END WITH A COUPLE OF SHOCKS. While the teenage protagonists wrestle with their consciences (and, not coincidentally, introduce us to Ronnie’s mom and Jason’s dad, both of whom are substantially similar, in my recollection, to their pre-relaunch states), we return to the jerkass soldiers of fortune, and learn that their leader is none other than Ronnie’s old nemesis Cliff Carmichael. More torture ensues, Martin Stein is name-checked, and it becomes clear that they’re looking for something called a “magnetic bottle.” There’s also a pretty spectacular page wherein we see that even though this is the first issue, there may have been previous Firestorms in this reality, none of which look like the ones we saw in the old one. The art is pretty good, and the entire issue is done in a primarily orange palette, helping to bring home the whole “fire” motif, right down to Ronnie’s yellow-on-red caption boxes and Jason’s red-on-yellow ones. The issue ends with the revelation that Jason has the missing magnetic bottle, and in an attempt to keep from getting murdered, transforms himself into FIRESTORM! And also, for some reason, Ronnie into another FIRESTORM! And they both have the puffy sleeves! HOORAY! The two ‘Storms end up fighting each other, but as the issue ends, it seems that they merge into one horrible, monstrous nuclear being, who calls himself Fury. So, the best part about this issue is that it’s legitimately a first issue, and it sets up our characters well. The bad part is that the last portion of the story kind of goes bananas, what with Jason secretly being the beneficiary of Martin Stein’s last weapon, and then Ronnie attacks Jason, and there are some real clarity issues in the last few pages of the art. Upon my first reading, I wasn’t actually sure that Fury was a composite of both Firestorms (and, honestly, there’s still reasonable doubt.) That said, there’s more potential in the characters of these two high school kids, and I swear there must be a Black Ops Secret Agent Warehouse somewhere in the new DCU to keep these roving bands of mercenaries in business. All in all, it’s a little disappointing how conventional this issue is, especially with Gail handing primary writing duties, but the art is good enough, if inconsistent. The building blocks of something really new seem to be present in Fury of Firestorm #1, but this issue hasn’t quite put it all together yet, earning a good-but-not-yet-phenomenal 3 out of 5 stars overall. 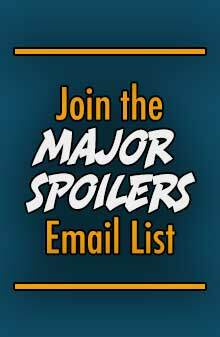 Faithful Spoilerite Question Of The Day: Where do all these evil soldiers-of-fortune come from? Did the DCU equivalent of S.H.I.E.L.D. collapse recently or something? I enjoyed this issue, and I agree with many of Matthew’s points (although I heard a little bit more about Fury from one the interview sections in the back of the other New 52 Comics). A fan of the Ronnie Raymond Firestorm original series I was looking forward to this and actually really enjoyed the high school scenes. 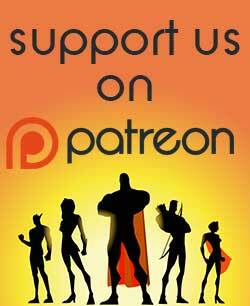 The conflict between the two laying the groundwork for future character development. There was definitely a small shock factor when the mercenary-type was called Carmichael. Also, I was wondering about one other original character possibly re-made. After the big kaboom when the female with the knife was caught in the cross-fire and was trapped under the rubble still seemingly alive she also seemed changed and her arm was shown kinda luminescent blue. 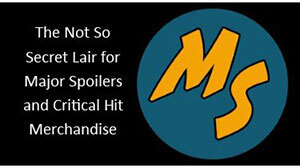 Relaunched Killer Frost? So all in all the two Firestorms have my interest. You can count me in for issue 2. I hadn’t connected the dots on the Killer Frost angle. That’s a cool catch! I was interested when the soldier-guy was speaking to the director-lady and they were showing images of “Other Firestorms” so perhaps there’s a whole group of nuclear-people out there? I think the um, evil soldier people come from the same place all the henchmen come from. I think it’s level too – start out henchman, graduate to sadistic soldier, eventually, if your lucky, get your supervillian origin. Like blue armed whatshername, who I believe has been turned into ANOTHER Firestorm. Like blue armed whatshername, who I believe has been turned into ANOTHER Firestorm. If you look closely at those previous Firestorms, one of them looks a lot like Firehawk. I wonder how soon she’ll be showing up again. 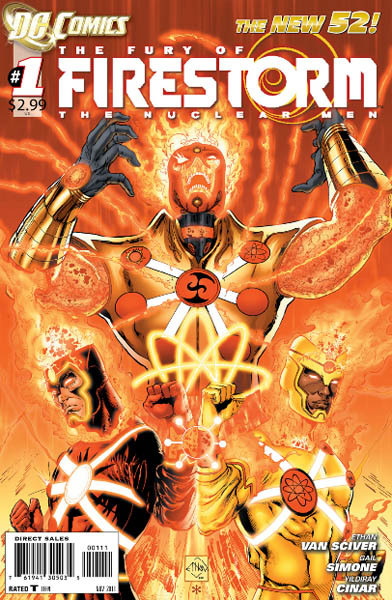 I’ve always felt like the original firestorm costume was the best costume in comics bar none. Firestorm was my first comic book and I always have a special place for the guy. Firestorm is one of my first comics, lived in a small town that sold comics at the local drug store, and loved how different it was from the others. So i have a soft spot for the character, and i liked where this seemed to be going. The bad guys seemed a bit cliched, but loved the hint at other Firestorms on that page, and while i’m not a fan of Rusch as much, i did like where it went in Brightest Day, moving past the simple “I hate you!” “No i hate you!” thing and working together. Hopefully the way they relate won’t take years to change. I think I like the idea of the Fury character. The Black Lantern Firestorm character from Blackest Night/Brightest Day seemed to be a fan favorite so I’m happy that his personality seems to be persisting in the new 52. Considering that the Iraq war has wound down and Afghanistan is not as big as it was, the world is following a pattern of soldiers of the world in need of a war because that is what they do well. Happens post-conflict after post-conflict throughout history. In any case, I honestly enjoyed this book. As Matthew mentioned, the torture scenes were jarring, and I found the reveal on the head torturer as Cliff Carmichael as sort of interesting. What I found most interesting about that was how the original Cliff became the New Thinker and was instrumental in Barbara Gordon’s first outing as Oracle (the great Suicide Squad crossover/rebuttal to The Killing Joke). With Gail Simone doing both Batgirl and controlling Cliff in Firestorm, does anyone think there may be a cross-over in our future (particularly with the whole “home invasion” motif we saw in both books)? Anyway, I really liked setting Jason up as the nerd to Ronnie’s “sporto” (saying “jock” there just seemed…um…unfortunate). It makes a great dynamic and gives us the best parts of Martin Stein and Ronnie. Also, using a “composite entity” (that I kind of hope will become the resurrection of Professor Stein once all those magnetic bottles are put together) still gives us the best of both worlds–a person able to mess up all on his own, while still adhering to one of the key concepts that made Firestorm most unique. I hope we won’t see too much more on the torture and death front. One of my hopes with this title was that it would call back Gerry Conway’s stated intentions with the character–to act as a foil to all the “grim and gritty” characters. That’s why he was made as a “fun” Spider-Man analog, and why Al Milgrom gave him a red and yellow outfit with a pirate shirt and flaming hair. We did get some of that, with the very teenaged interactions between Jason and Ronnie, as well as the interactions between Jason and his girlfriend (Was that Gehenna? I don’t remember if they give her a name.). No – this is Tonya. I’d give it two stars…hated the mercenaries thing…didn’t care for the forced racial oh woe is me crap and despised Fury. 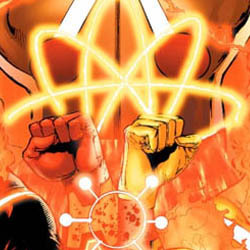 Don’t mind the idea of other Firestorms but Jason and Ronnie should have been in the same body as Firestorm not as Fury, much more interesting dynamic than NuclearHulk that they become now. Definitely Killer Frost though with that other chick. I dug that part and look forward to seeing what they do with her. i had no idea what happened in this issue. 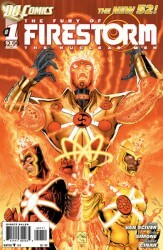 Never read Firestorm before but I’m going to give it 3 issues to explain its self. The first thing I noticed was on the very first page, and first panel I think, the father that’s being tortured has two left hands. I twisted my hands around and I tried to recreate the way it looked and the only way it works is if the guy has two left hands. Nothing serious, just weird. Anyway, the issue was okay, I don’t really care for the character that much, but I like with lower tier characters are done well and while I didn’t love it, I always hold out hope for the best. I’ll give it a few more issues to see if I like where it’s going. The hand thing is not the exact first panel, but the first panel with the family in it.